Marinade THE NIGHT BEFORE or a few hours before - Place the pork, 1 can and a half of coke, ¼ cup brown sugar into a large ziplock bag. Set aside to marinade. 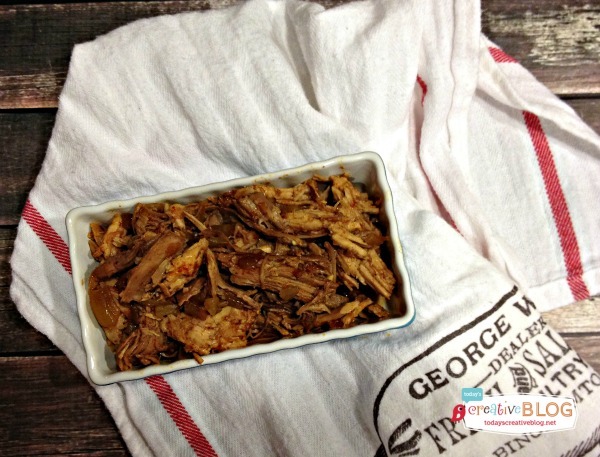 Remove pork from the crockpot and shred. Drain and discard any liquid from the slow cooker. Place your pork back in the crockpot with the sauce and cook on low for 2 hours. I marinaded only a couple of hours and it was still delicious.